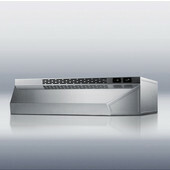 Storch Under Cabinet Range Hoods are available in sizes from 20" to 48" in Ductless, Convertible, Shell or Ultra styles. 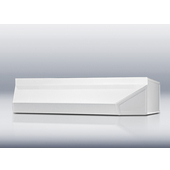 The range hoods come in White, Bisque, Black and Stainless Steel finishes to match or enhance any kitchen decor. All of the range hoods feature a 2-speed fan, a switchable light and a combination aluminum-charcoal filter. 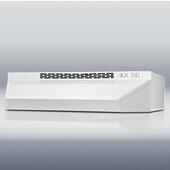 The Ductless Range Hoods are designed for recirculating the air and do not have vents for ducting. In addition to the standard features, the Convertible Range Hood can be vented from the top or rear and can also function as a recirculating range hood. 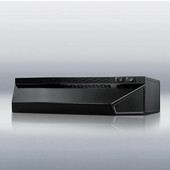 The Shell Hood has all the standard features except for the light and fan. 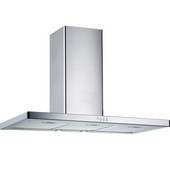 Contemporary in style, the Ultra Series Stainless Steel Range Hoods are convertible and feature 425 cfm. The Ultra range hoods also operate at various speeds and come with full washable aluminum filters.